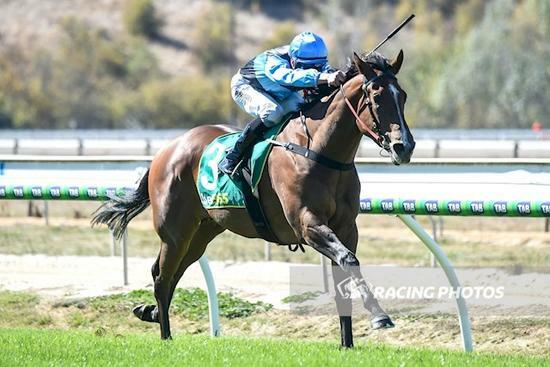 It was a family affair on Thursday at Kyneton, with three-year-old, Solomon, claiming his maiden win in an easy fashion. The Street Boss gelding, who was having just his 6th start in a race, dominated at the 1100 meters under the guidance of stable jockey, Patrick Moloney, scoring on the line by a margin of 2 lengths. Trained by Patrick's father, Gerard, with mother, Trish, amongst the owners of Solomon, it was an emotional victory for the whole team involved. Ridden confidently amongst a small field of five runners, the short-priced favourite was allowed to roll forward from the outside barrier, and travel within his own comfort zone, proving he was a class above the other runners when he stormed away in the run home. Although Solomon hasn't been the easiest horse to handle in the past, he has always showed ability, and it was a brilliant training effort by Gerard to get the best out of him on race day. Congratulations to all the connections and the hard-working staff at Moloney Racing!